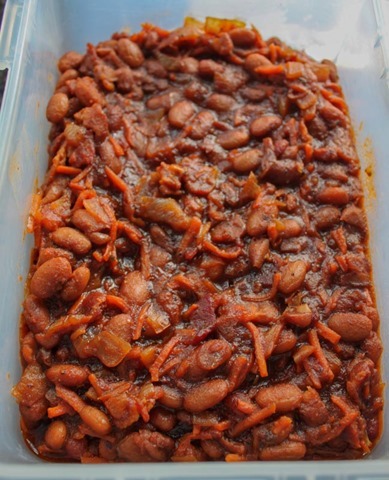 Beans are one of my favorite foods, not to mention go-to side dishes. They are obviously very good for you – what with all the protein and fiber, as well as macronutrients, vitamins and minerals, and phytochemicals. I also love beans because they are so versatile and there are so many kinds! 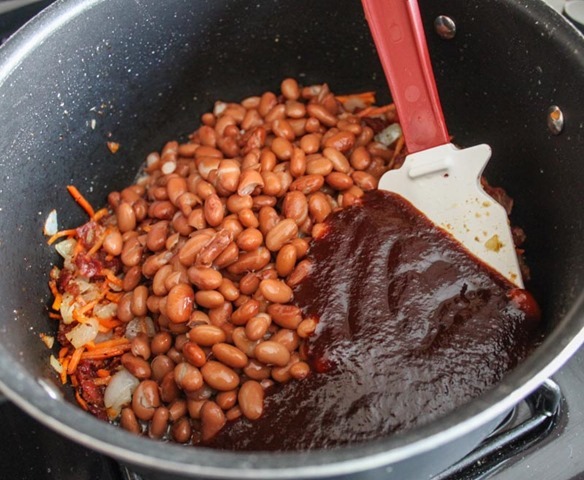 I love black beans in tacos, cannellini beans in soups, garbanzo beans in salad, kidney beans in chili, a blend of beans in homemade veggie burgers – the list goes on and on! 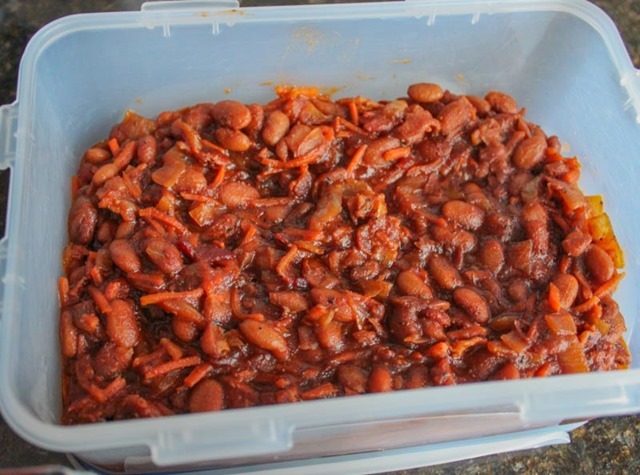 Here is my latest bean creation – a new side dish staple in our house and instant summer BBQ classic. Begin by heating a large pot over medium heat. 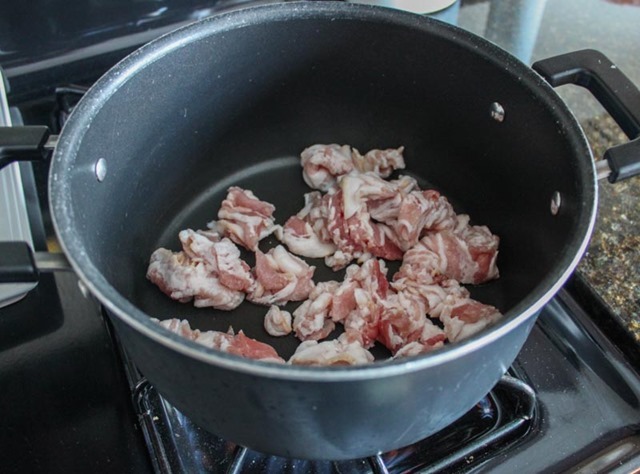 Cut up the bacon into 1″ pieces and cook until the fat begins to bubble and the edges start to brown. 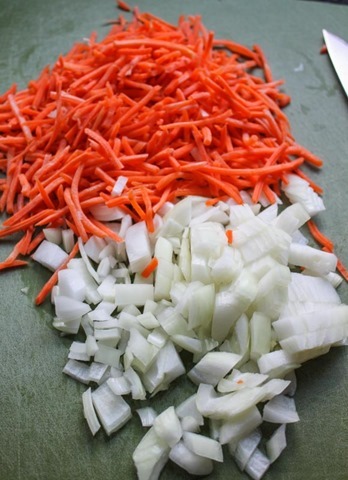 Toss in the onions, carrots, and garlic and cook until the onions are translucent, the carrots are tender, and the bacon is all browned up. 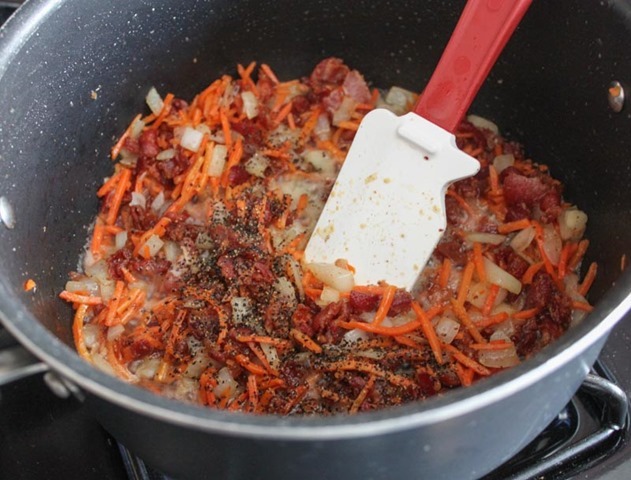 Sidenote – If you want to make this recipe with less bacon fat I have two alternatives before you add the veggies to the pot: 1) Carefully skim as much fat as you want out of the pot with a large metal spoon, or 2) Cook the 1″ bacon pieces in a separate saute pan until they begin to bubble/are just starting to brown, then with a slotted spoon add the bacon to the large pot, and then augment with any additional bacon fat you want to use. 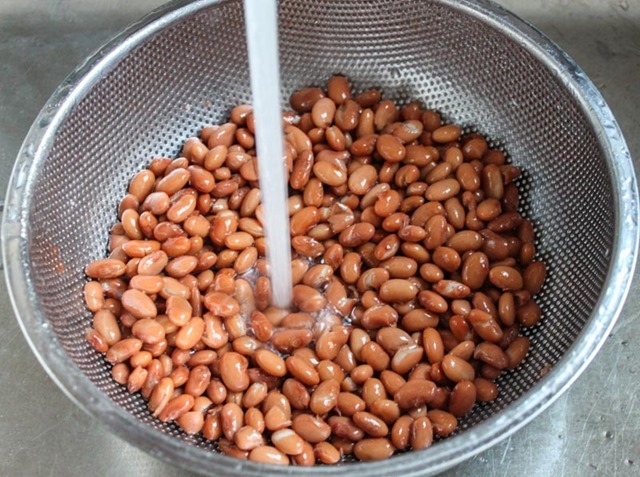 While those ingredients are cooking together, rinse the beans. You can also add the spices/seasonings to the pot at this point as well. 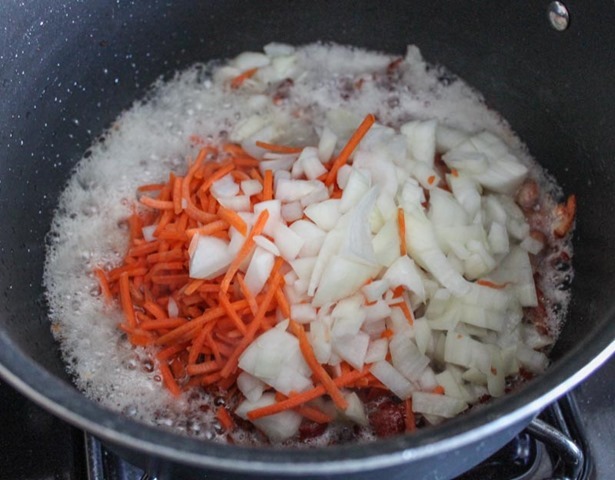 When the veggies/bacon are done, add the beans to the pot. Pour in the BBQ sauce and the water. The water is used to loosen up the BBQ sauce so if yours is particularly thick or thin, feel free to adjust to use more or less accordingly. Drop the heat to low, cover with a lid, and simmer for 30 minutes, stirring occasionally. 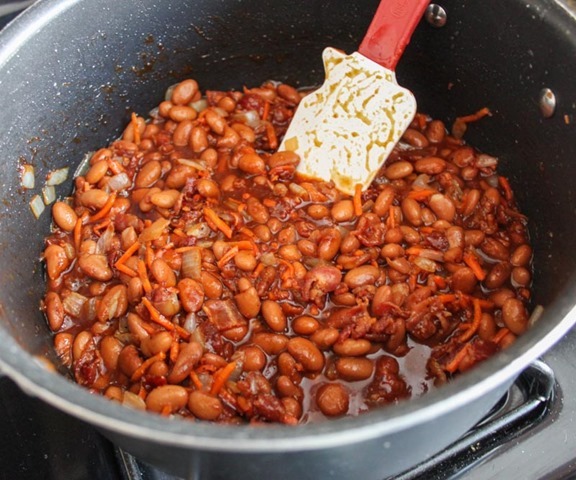 When the beans are done give them a taste to gauge the seasonings and adjust to your preferences. Eat immediately or store in an airtight container in the fridge for 3-4 days. These beans actually get better as they sit so you can totally make them a day ahead of a party or barbecue. I love this recipe because it’s hearty, sweet and savory, filling, and a great compliment to classic summer dishes like burgers and corn on the cob.